Happy Independence Day to my fellow Americans. I won't post again till after the holiday as I am going on vacation without my laptop. Summer is going by way to fast. 2.) Citation Machine is a simple website to create citations. Choose a style, insert the information, and then copy and paste your citation. 3.) Pottermore is an interactive website that will be available in October for all those readers of the Harry Potter books. 1.) Multipication.com has resources, interactives, and games for learning about multiplication. 2.) Desmos is website to create and share rich interactive content. They have created an online graphing calculator that students and teachers can use. When a problem has been created/solved, it creates a link that you can share. 3.) Here is a great list of 19 Online Graphing Calculators from the Tech the Plunge Blog which is written by Jeff Thomas. 4.) PSToM is a website for Parents, Students, and Teachers of Mathematics. It is an online community with resources, lessons, and activities for learning math. More information is available from the iLearn Technology Blog. 1.) Roller Coaster is a Physics interactive where you drag a line up and down and create a roller coaster path. You attempt to make sure the rider does not "puke" or pass out to move on to the next level. Go through the tutorial and it explains the physics aspect. 2.) The Periodic Table of Comic Books is an interesting way to look at the elements. It takes the elements and shows which comic book characters have special powers based on the elements. Very interesting. 3.) Virtual Pig Dissection is a website where students can virtually dissect a pig. Would be a good intro activity; don't think it can take the place of "live/dead" experience. 4.) Science Toy Maker is a collection of videos and instructions by a teacher who enjoys rolling up their sleeves to work on science projects. 5.) Succeeding With Science is a website dedicated to providing resources for teachers and students at all grade levels looking to improve in science. 1.) Wikihood World is a website with information about locations all over the globe. Including Longitude and Latitude for the center of the city. You can find out information about leaders, culture, history, statistics, etc. 2.) TweetCongress is a website that provides information, links, and resources about Congress through Tweets. It includes Tweets of Senators and Representatives who have accounts as well. 3.) What Was There is a website where you can take an older picture of an area of a city and "lay it over" a current Google Street View of the area so that you can see how the area has changed. This would be a great project for students to do in your local town. 4.) CitizenTube are the top news stories that appear on YouTube. Every week there will be a recap of the top news stories. 5.) Mapfaire is an easy way for users to create their own maps. With a Google Account you can publish your map. 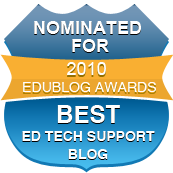 For more information, read the post from Free Technology 4 Teachers. 6.) FBI: The Vault is a website that contains many files and readings of public importance. You can browse for specific people or even events. An interesting way to look into the History of the FBI . Bundlr is another option for organizing and sharing content from the web. There are several options out there that I have shared in the past. Bundlr allows users to sign in using either a Facebook or Twitter account. Bundlr could be used by teachers to organize websites that they want their students to use for research or to share in class covering a specific topic. It could also be used to collect current events stories for the purpose of gathering different views. If you paid any attention to the Shaquille O'Neal retirement you probably heard about a website called Tout. The concept is pretty simple. It is basically a Twitter for sharing short video clips. People follow your Tout account and you can record videos. This would be a great way for teachers to visually share homework assignments or explain concepts. You could use this service to record field trips or classroom activities as well and invite parents to follow the account as well. You can also connect Tout to your Twitter and Facebook account. Tout is available as an app for Apply products as well. For more information, watch this short video about the service. Pegby is a website that allows users to create a "pegboard" for you to use to help you "get things done." Since the board is collaborative you can assign "cards" to people that you have shared your pegboard with. You can stack your cards, push them to a certain date, style them, and several other features. Pegby is another option for teachers to use with students working on group projects to help them stay organized and make sure that aspects of the project are getting done. Here is a video highlighting several of the most important features. Schools Out For Summer!! Well, I still have Master's Classes, Summer School to teach, golf practices, etc, etc. So the whole "teachers have the summer off" argument is completely invalid for me. I know that I have been slacking recently with the "Weekly" aspect of these resources, but in preparation for my return to the classroom, I have a feeling that this post will become a twice a month endeavor, but we will see. Now, on to the resources! 1.) StoryMash is a creative writing community for authors, amateur writers, readers, and anyone interested in collaborative fiction and collaborative creative writing. 2.) Compare and Contrast Essay Writing Interactive is a valuable tool for English teachers. Source: Free Technology for Teachers. 3.) Definr is an incredibly fast dictionary. As you type it provides options based on what you are entering. It then provides the definition and then synonyms as well. 6.) Online Etymology Dictionary is a website that provides information about what words meant and how they sounded 600-2000 years ago. 7.) Unbound is a website for people to get their books published. No middleman or companies, just the authors and their writings. 1.) FooPlot is a free online graphing calculator where you can put in 5 different functions to create the formula and graph. 2.) Cinderella is an interactive geometry software that students and teachers can use in their geometry classes. 3.) Texas Instruments is coming out with a new calculator and it seems sweet. Seems like the calculator is taking a huge step with the TI-Nspire CX. 1.) Freezeray is a website that provides several lessons and activities for the various science subject matters that can be used with an interactive whiteboard. 3.) The STAR program at MIT seeks to bridge the divide between scientific research and the classroom. Understanding and applying research methods in the classroom setting can be challenging due to time constraints and the need for advanced equipment and facilities. 4.) KScience is a website that offers lessons, animations, interactives, and other tools for teaching science. There is also a toolkit to help teachers create their own Flash activities. 5.) CitSci.org is website in support of citizen science. It allows citizens, school groups, and professionals to enter species observations into a global database. The observations are then used for natural resource management, scientific studies, and environmental education. 6.) Science Fair Adventures is a website that provides resources and information for science teachers and students interested in science fairs. There is also information on various project ideas. 1.) On This Day from the New York Times provides the front page from their paper on various days of the year of your choosing. A great way to look at primary sources of information. 2.) The National Archives Experience provides access to a digital vault from the national archives. A valuable resource for finding primary sources. 3.) Laws Loop gives visitors the opportunity to create their own personal manifesto. Everyone has a right to an opinion about anything, with no borders defined by the status quo. Exercise free speech and create a page today. A valuable interactive and tool to teach about manifestos. 4.) Civil War 150th Anniversary is an interactive from the History Channel celebrating this momentous occasion. 5.) Toporopa is a website providing several different versions of maps of Europe. Several of the maps are also interactive. A valuable addition for European History and Geography. 6.) GoGo News is a website dedicated to providing news for kids and news articles for kids as well. In the age of news that is focused on so much negativity, it is a good idea to provide news for students that is not so dark. I happened to catch the very end of Shaquille O'neal's (not sure if that is correct punctuation) press conference on his retirement. During the time period questions could be asked by reporters, he was asked about regrets and about being a leader or a follower. Within this moment he talked about how if he was in school in this day and age he would be valedictorian. He talked about how he had to go to the library, but kids today can just go to Google and get the answers. Shaq gets how Google is changing education, or changing how students can learn, yet those in charge of education have yet to figure out how the Internet is changing education. Focusing on facts that can be answered with a simple search is not teaching what this generation needs.